Federally Qualified Health Centers (FQHCs) are at the center of both federal and State health care reform strategies. FQHCs are located in underserved areas and provide community-based comprehensive primary care to anyone who needs care, regardless of their ability to pay. They provide a range of services including primary and preventive care, behavioral health services, dental care, and substance abuse services as well as enabling services such as transportation, interpretation, and outreach. Successful implementation of federal health reform, the Affordable Care Act (ACA), will require expanded primary care capacity to both care for the influx of newly insured people and ensure a strong safety net for those who remain uninsured. The federal law recognizes this and makes FQHCs a cornerstone of its plan for expanding access to health care. 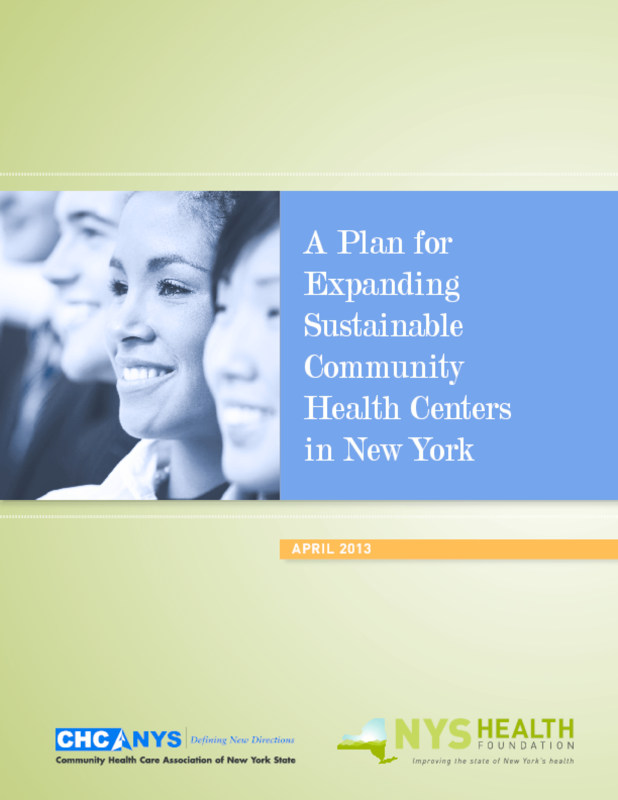 In New York State, FQHC capacity is expected to double to serve nearly three million New Yorkers by 2015. Initiatives in New York State reinforce the need for enhanced primary care capacity. Governor Andrew Cuomo established the Medicaid Redesign Team (MRT) and tasked it with finding ways to reduce costs and increase quality and efficiency in the State's Medicaid program. A central strategy of the MRT has been promoting more integrated and Triple Aim-oriented systems of care that produce better care and better health at lower costs and have community-based primary care as the foundation. FQHCs are well positioned to participate in and lead these transformations and develop their capacity to serve more patients. There are untapped opportunities to derive more capacity out of the existing primary care system by changing how patients access care and how care is delivered. In addition, there are many communities throughout New York that need additional primary care capacity to meet the current and future needs of their communities. Copyright 2013 Community Health Care Association of New York State.